There are many communities in Nepal that are not developing and in which there are inadequate facilities and incentives to grow. The Ray of Hope Society has been at work in Nawal Parasi providing opportunities for the community through agricultural schemes and medical facilities. This partnership involved the development of a 3,000 bird poultry farm to provide sustainable income and employment for local families, access to cheaper eggs for the community, and a means to generate funds for use in other evangelistic endeavours within Nepal. Bright Hope World met Niranjan first in 2003 while he was a student at South Asia Institute of Advanced Christian Studies (SAIACS) in Bangalore. Since his return to Nepal Bright Hope World has supported one project in Saptari and the establishment of a medical centre in Nawal Parasi as part of our community development partnership. Bright Hope World staff have visited Nepal on a number of occasions and have seen the work in Nawal Parasi. 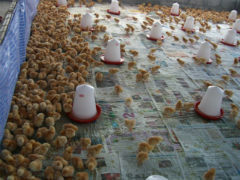 This poultry farm is run as a cooperative with local farming families providing the initial capital investment. It supports job creation and micro-enterprise in the district, as well as generating funds for the community Resource Centre Fund (see NEP02b) and other ministry endeavours. The primary beneficiaries are the farmers and church families who form part of the cooperative and receive dividends. Those employed to run the poultry facility, and the wider Nawal Parasi community who have access to cheaper eggs, also benefit. Other secondary beneficiaries include those who receive loans from the Resource Fund. There are 580,000 people in the Nawal Parasi District. 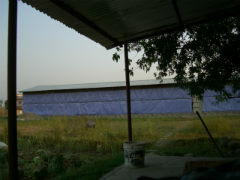 The cooperative involves seven local families. The key people are Niranjan and Sonu Adhikary. They live in Kathmandu. After training at University Niranjan was employed by Campus Crusade for Christ. He developed into a leadership role there, especially in training people. 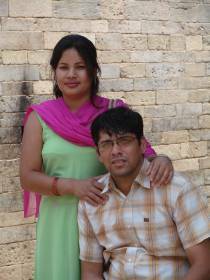 After marrying, they decided to go to SAIACS for further training and while there decided that on returning to Nepal he would look for a totally different model of doing ministry. He was and is very concerned about the dependence that much Christian ministry in Nepal has on outside funding and resources. He wanted to develop a Nepali way of doing and funding ministry so he began training people in a different way. Many of these people have gone out into difficult areas to plant churches. Niranjan continues to provide leadership and oversight to the training programme, and gets involved in resolving issues when they arise. Niranjan and Sonu are also involved in leading a small church near their house. 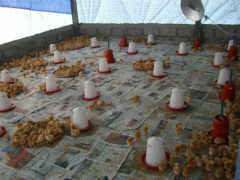 As part of Niranjan and Sonu’s vision for the Nawal Parasi community, this project involved developing a 3,000 bird poultry farm to generate income for families who are part of the cooperative, employment for a number of these families, as well as funds to resource the poor and enhance the health and growth of the church in Nepal. There was an initial requirement for $US26,792 to provide the necessary working capital to support the establishment of the farm operation through its first production cycle (18 months). This was subsequently repaid. Initial investment for all farm equipment was provided by local farmers and churches as part of the cooperative.